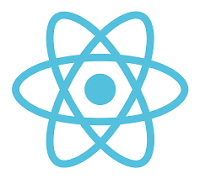 For new React applications, create-react-app is the way to go. It will conveniently generate much of the required build infrastructure (such as the webpack configuration and a development server). However, we already have our build infrastructure in place, so in our scenario it’s easier to just add some libraries and extend the webpack configuration manually. Plus, and that’s a big plus in my opinion, we’re still totally flexible and in charge. We set this nested layout page as the default in _ViewStart.cshtml so all Razor pages reference the main.js and classic_jquery.js bundles but it’s also possible to only reference the main.js bundle by manually setting _Layout.cshtml as the layout for the page. The React app we’re adding will become an app for taking notes. However, in this post we stick to a simple ‘Hello world’. The actual notes app is for the next post in this series. As you can see, we override the default layout page and use the master layout page (that does not reference classic_jquery.js), but we add a reference to a new bundle, ‘react_notes.js’. This bundle will contain our complete React app that will be injected into the ‘react-notes-app’ div element. Whoops, looks like something is missing. Webpack has an issue with the <App /> component, which is totally understandable because that is the React-specific JSX syntax and we haven’t done anything yet to let webpack know how to handle that. Most tutorials suggest to use Babel and the babel-loader for webpack, for example this one, but the great thing is that the TypeScript compiler also understands the React JSX syntax. Personally, I think TypeScript in combination with React simply works brilliantly. For example, it’s not unusual to mistype a property name of a React component, resulting in a debugging session. By typing your props, the compiler finds all typos and when using an editor like Visual Studio Code, you even get intellisense for you React components. This are settings for the TypeScript compiler. Most notable is the “jsx” setting. This is set to “react”, which means that all JSX is converted to React.createElement() function calls. Also, we’re creating source maps to enable proper debugging of the .tsx files. 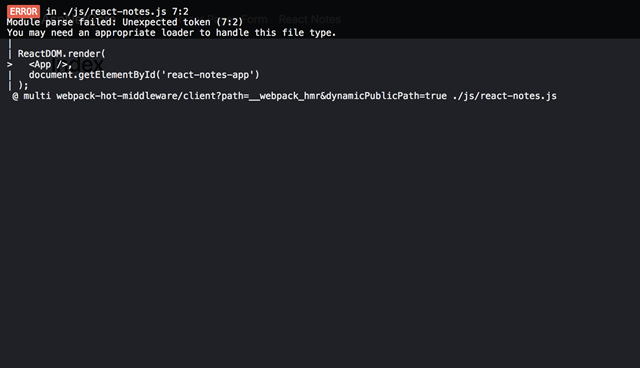 Change the extension of our React files to .tsx (/ClientApp/js/react-notes.js and /ClientApp/js/react-notes/App.js). The TypeScript compiler only understands JSX syntax in .tsx files. // Add `.ts` and `.tsx` as a resolvable extension. For development (non-production) environments, the devtool is explicitly set to ‘eval-source-map’ because the webpack default setting for development is ‘eval’ and that only shows the compiled sources which makes debugging very hard. Again, the code for this post is at GitHub: https://github.com/martijnboland/LeanAspNetCore-React. This is now an application that supports both ‘classic’ server-side development but also ‘modern’ client-side development with React. In the next post, we’ll finish the React notes app and integrate it with a small ASP.NET Core server API. Excellent! I’m learning React and I wanted to have some of the flexibility of Razor Pages and this tutorial showed me exactly what I needed!! 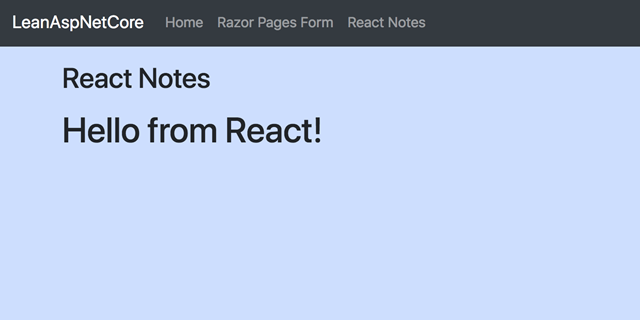 In my office I have a task of displaying react components within razor pages. Although I would have liked it in Visual Studio, I don’t mind this project setup in VS Code. I am going to visit this page several times in the next few hours/days until I finish the task. I hope my search in the internet for a solution to the problem at hand has ended. Thanks In Advance. I got confused between react_notes.js and react-nodes.js…between jsx and tsx also. I also got some frustration due to not following the tutorial step by step. It was too tiring to do these two projects(ASP.Net followed by react) one after the other in one sitting. After getting errors like=> Module not found: Error: Can’t resolve ‘./js/react-notes.tsx’ I gave up and now running github repo to atleast see what the output should look like. May be any other day I would have done it well but not the past couple of days. I’m sorry to hear that. Hopefully better luck next time. Copyright © 2019 Martijn Boland. Powered by WordPress. Theme: Spacious by ThemeGrill.